I’m back! SIGGRAPH and summer travel kept me away from playing games. After this post I’m going to switch gears and start reviewing some non-iOS non-kids non-learning games. But, before changing things up I wanted to review Sid Read & Play because it was recently released and I wanted to see if there were any differences between it and the older iPad learning games I’ve been playing. Unfortunately, the only activity in the app that was new to me was I Sense. All of the other activities are familiar, including ebooks, jokes, coloring book, sing along, sticker book, and spot the difference game. Overall, Sid Read & Play does a great job of interweaving these activities with Sid’s objective to get kids excited about science, but I was hoping for activities that challenged kids to think in terms of experimentation, the scientific method, and exploration a bit more. questioning, observing, experimenting, and learning about the scientific world. I will point out that my views of this app may be somewhat skewed because I was play testing it with users on the outer range of the intended target audience. I had a few six-year-olds play Sid Read & Play. And while they thought the app was “cute”, they also thought it was “too easy” and “for little kids”. Instead, they wanted to play with a photo app where you can decorate your picture (I had no idea how much kids like these photo editing apps). The kids’ reactions to Sid Read & Play reminded me of a user test I did with another six-year-old who played with VTech’s newest learning system Brilliant Creations Vtech Color Touch Tablet targeted toward kids ages four to seven. After playing with the system for 30 minutes my user proclaimed that she would “like it if it were smarter”. Then she asked if she could play a Nintendo DS. I’m going on a bit of a tangent here for a few paragraphs (so if you only want the Sid review skip down 3 paragraphs), but I think it’s important that STEM related games are able to reach six-year-olds such as the ones I was working with. I understand that it’s difficult to create an app that appeals to both four-year-olds and six-year-olds, but I hope designers don’t let that deter them from trying. For example, in I Sense, where the user chooses one out of six objects that “feels smooth”, “sounds loud”, “smells disgusting”, etc., the activity could have another level of difficulty. To challenge older players users could be asked to place objects along a scale of ‘soft to hard’, ‘smooth to rough’, ‘no smell to stinky’, or ‘sour to sweet’. The sticker book activity could also be made more stimulating and include an activity where the user has to skillfully select items that match a group of items (i.e., only certain objects can fit with a group of objects based on the objects’ characteristics). I offer these suggestions because I hate to see children turn away from STEM learning-games at a young age. I want their interest in STEM to be doubling from ages 6 to 12, not be disappearing. I can’t blame the girls for their attitudes toward learning apps/systems either. At one point in writing this review I too needed a break from Sid and took up a friend’s offer to play Team Fortress 2 (only to come back to the review after realizing I hadn’t downloaded TF2 yet – yes, I’m still a n00b). Sure my opinions are subjective, my actions may be harmless, and there are learning apps and systems that I still need to play, but I don’t think that I’m so different from kids; when I lose interest in critiquing an app they probably aren’t that far behind in losing interest in playing it. I fear that if we lose kids’ interest in STEM games/apps at age 6 then there is a good chance we may not get them back. 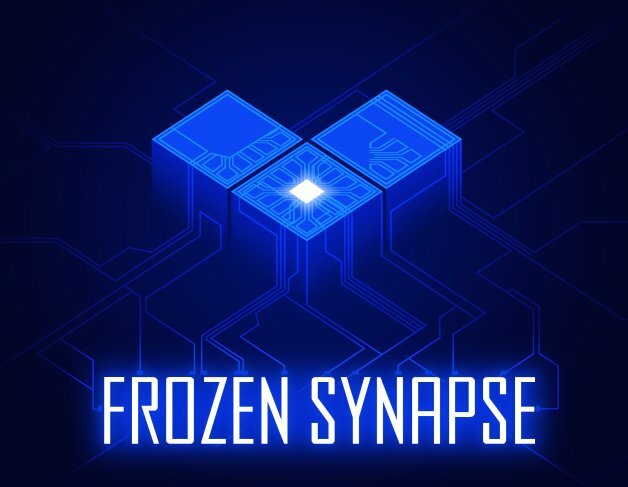 If we’re lucky they’ll continue to play non-learning games and become interested in computer science/engineering because of their innate interest in them (e.g., they wonder how they’re made, they want to make their own apps, they want to mod a game). I may be overreacting and I am usually more optimistic, so, I’ll continue my UI/UX review of Sid Read & Play with hope of improving learning games for players of all ages. Does maple syrup smell “yummy”? Do rotten eggs feel “slimy”? Does a beach ball feel “smooth”? I focused a lot of my attention on the I Sense activity because my answer to all of these questions is “yes”. However, when playing I Sense the answers to these questions are “keep on trying”, “that’s not it, try again”, and “nope, try again”. In I Sense, Sid quizzes the user to pick out an item that matches certain characteristics based on the object’s look, feel, smell, sound, or taste, but there were often correct answers that Sid said were incorrect. For example, in one trial Sid asked “which thing feels smooth?” with choices including tin foil, apple, and ice cubes. If your answer is ice cubes, “that’s not it, try again”, even though ice cubes is a feasible answer – so much so that in other trials ice cubes is the correct answer. See image below for examples. best example from the group. Other examples of inconsistency and inaccuracy include answers for “smells yummy” being pie and not maple syrup, “sounds crunchy” being an apple and not ice cubes, “tastes salty” being a pickle and not peanuts, and “feels prickly” being a starfish and not a nest. This activity made me feel like I was supposed to read the mind of the designer or programmer and guess how they were feeling about the object. I didn’t understand why some objects were the correct choices and others incorrect. This activity missed its opportunity to teach kids about senses, especially in regards to the feedback for incorrect answers. More descriptive feedback could have illustrated why certain objects are better examples of a particular sense and helped children understand why their answer was incorrect. Take for example the question “which thing looks shiny” with choices including pickle, tin foil, apple, and stuffed bear. If a child responds “stuffed bear”, the feedback could say “the nose is shiny, but I’m looking for an object that is shiny all over”. If a child responds “pickle”, the feedback could say “shiny things are often the color silver”. Lastly, if the child responds “apple”, the feedback could say “I can shine an apple, but I cannot see my reflection in it”. I think that the extra time to implement this type of feedback would have really made this activity shine. 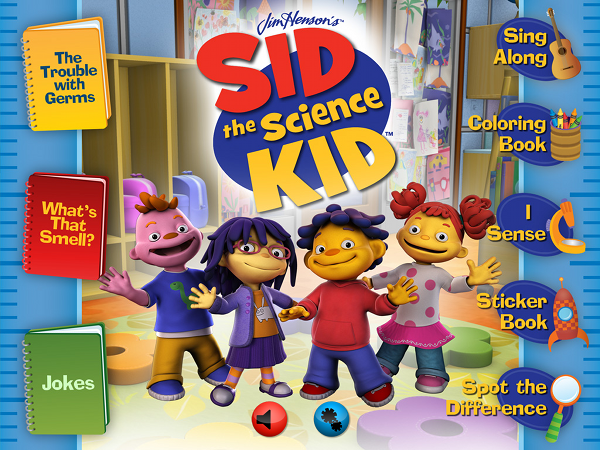 The various activities give kids the opportunity to engage with Sid the Science kid, become exposed to topics such as germs and senses, and be excited about science like Sid. There is a nice cohesiveness with all of the activities. Each activity is also relatively short. Each activity is relatively short and thus helps keep the player’s attention and encourages them to try all of the activities. 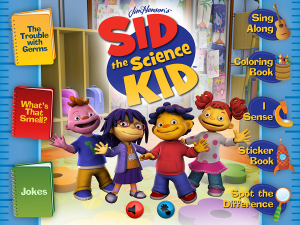 The app has great breadth and allows kids to be engaged with Sid in various ways. The shorter time span keeps the kids engaged and gives the user a moment to pause and reflect on what he/she just learned or accomplished. 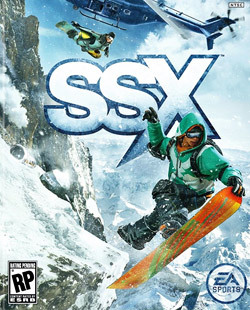 The short activities also encourage players to try all of the activities. Playing all of the activities is important for this app because its strengths come from breadth and not depth. Overall Sid’s character came across as really fun and enjoyable in this app. The stories lend to his personality and inquisitive nature, the sing along activities are upbeat, and Sid makes cute sound effects in I Sense to help describe words. I found navigating between the various activities to be cumbersome. The designers chose to implement a “Menu” button that allows users to go back to the current activity’s menu, take a picture (if applicable), record voice (if applicable) and go home to the main menu. The menu button is placed at the top of every activity, and when clicked it slides down to reveal another menu button and a home button, as shown below. I found the implementation to be a little clumsy and I don’t think it would make much sense to a child who can’t read. At the very least I would have liked the word “menu” in the arrow be changed to “back” and have the home symbol next to the word menu to be placed to the right of the word instead of the left (since that is where the home button is on the menu bar). I also think that activities should not have a menu button if they only have one or two actions to select from the menu. Instead, a back button icon should be implemented. For example, in the I Sense activity there is no “menu” page so the “menu” button takes the user to the home screen (the home button also takes the user to the home screen). Also, in the Spot the Difference activity you can’t take a picture or record voice so the menu button doesn’t have much utility to it. The designers did not include the menu button in the Sing Along activity and I think it made the activity’s UI clean and intuitive. It wasn’t a burden to have to go back to the activity’s menu screen to get back to the app’s home screen. Incorrect answers give no feedback as to why a user’s answer is wrong. When a user gives an incorrect answer in I Sense, the app responds three ways: “keep on trying”, “that’s not it, try again”, and “nope, try again”. This feedback does little to encourage players to keep playing if they keep answering wrong, and it doesn’t help them to increase their skill level at the game. If anything, users will learn if they keep hitting buttons they’ll eventually get the correct answer. Worse yet, a player could think that she isn’t good at science if she keeps answering incorrectly. More activities that give children the chance to explore and experiment. A simple point and click game that walks Sid through the journey of a germ would lend itself to the app’s goal to get children excited about science and it could help them to think like a scientist. I could envision a child having tons of fun with a game that has the player collect germs in various virtual rooms. The game could encourage the player to figure out places where there aren’t many germs, places where germs like to live, and places where germs are commonly found. More activities that give children on the higher range of the app’s intended audience a challenge. There were two difficulty levels in Spot the Difference game and the hard level was a great challenge for older users. The example game I mentioned in the bullet above where players collect germs could also be suitable for both younger and older players. Young players may not make a conjecture such as an area with lots of germs is a common place for people to touch, but they could still hunt for germs, collect germs, and have fun. Older players however could test various objects in the room for germs and make connections such as germs are more active on hard surfaces like plastic toys than on soft surfaces like fabric.